The primary grades are often considered the most important years of a child’s school career. In grades K–5, students acquire content knowledge that they will use as the foundation for the rest of their education. As with all of the core subjects, there are certain objectives for mathematics that should be addressed in the primary grades. At the most basic level, mathematics involves counting, recognizing numbers and performing simple operations like addition and subtraction. In the primary grades, students should be provided with numerous opportunities to master these skills. Upon exiting primary school, children should be comfortable with writing and identifying numbers, rote counting forward and backward and comparing numbers and quantities. Primary students should have knowledge of number facts and families. They should also be able to add, subtract, multiply and divide numbers. In the primary grades, students should be taught about measurement of length, weight and capacity. Children should be introduced to comparative language, such as "shorter," "heavier" and "longer," and should be able to apply these concepts when considering different objects and units of measurement. Primary students should also learn about money and time and be able to measure time in terms of hours, days, months and years. In addition to measurement, children should be taught about estimation of quantities and capacities. Learning about shapes, symmetry, position and direction is a key objective for primary school mathematics. Students should be exposed to two- and three-dimensional shapes and be able to identify, name and draw them. Children in the primary grades should also have an understanding of line and rotational symmetry, as well as the manipulation of objects in space. Additional spatial concepts of position, like "above," "under," "next to" and "beyond," should be addressed in primary mathematics education as well. Being able to collect, organize and interpret data is an important skill that is taught in the primary grades. Students should be given opportunities to answer questions through sorting and organizing data by using graphs, charts, tables and Venn diagrams. They should also learn to compare objects and data based on a given criteria. Mathematics should be used to develop critical thinking and problem solving. Presented with a problem or situation, primary students should be able to identify the proper strategies needed to come to conclusions and carry out calculations. Throughout primary school, students should progress from using concrete objects and written calculations to carrying out operations mentally. Children in primary school should also have the ability to identify and continue patterns, provide examples and non-examples of mathematical statements, and form and test hypotheses. One of the most important aims of for students at this level is to develop a positive attitude toward mathematics. Students should understand and appreciate the functionality of mathematics. 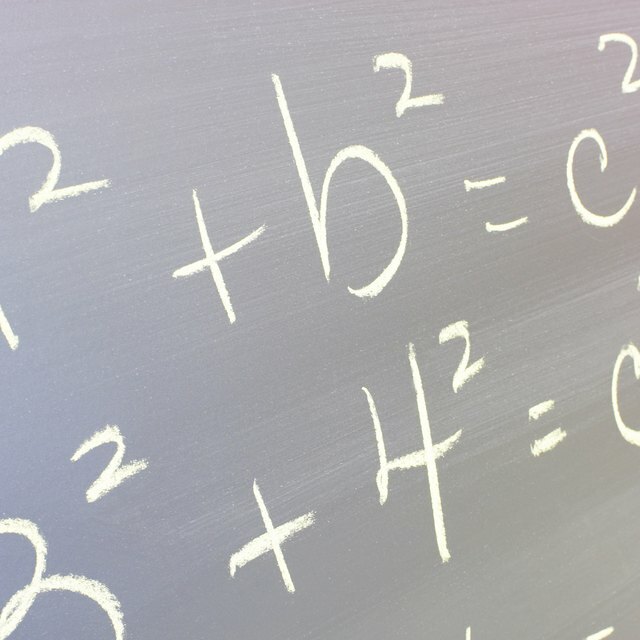 In addition to valuing math, primary school students need to be taught how to use mathematics in their everyday lives. They should be exposed to all the uses of mathematics, from counting out change or telling time to using angles in architecture or art. How Many Basic Math Facts Should Students Complete in One Minute? Lawrence, Carissa. "The Aims & Objectives of Primary School Mathematics." Sciencing, https://sciencing.com/the-aims-objectives-of-primary-school-mathematics-9725968.html. 27 June 2018.